There's a lot that goes into every Dagger kayak design, not the least of which is living up to their heritage of innovative performance and quality. The truth is, most kayak companies make at least one great kayak, but what sets Dagger apart is offering best-in-class leaders that master every type of moving water from the mountains to the sea. Most Dagger Kayaks are manufactured in the UK by Palm Equipment. Forgiving and stable yet agile, the GT is a classic all-round kayak. With enough volume to be forgiving on the river but still with enough play for surfing on the sea or river. Available in 4 sizes and two specifications. A popular river running & coaching kayaks on the market. The Mamba is both forgiving & responsive making it it fun to paddle for whitewater gurus but also easy to keep upright for less experienced. Now available in an affordable action spec as well as full creek. The Dagger Dynamo has been designed specifically for children and kids. Ideal for flat water paddling, easy whitewater or just general skills work. Lightweight and compact so easy for kids to carry themselves. For aspiring young paddlers, the Axiom 6.9 is a scaled down version of the award winning Axiom. Learn the basics of moving water in this highly specified kayak designed for kids. The Dagger Katana is the perfect crossover kayak, bridging the gap between whitewater & touring and in doing so providing you with the perfect all round kayak for whatever type of water takes your fancy that weekend. The Dagger Axis 10.5 Elite is a versatile recreational light touring kayak. Ideal for shorter journeys on calmer waters with excellent stability and comfort. Quick with good tracking thanks to its drop down skeg but manoeuvrable when needed. 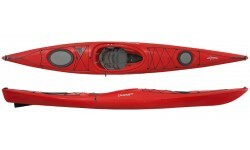 The Dagger Stratos 14.5 is a day touring kayak ideal for coastal paddling. Smooth and forgiving for beginners, with performance that experts will relish, the Stratos is stable and predictable in calm or stormy water. The Dagger G-Force is a classic design that has stood the test of time and still performs very well as a freestyle boat. Hence why it is still in production and seen regularly on all UK playspots. The Dagger Jitsu is the next generation in freestyle kayaking. With a unique hull rocker profile, excellent volume distribution and a double-step rail, the Dagger Jitsu is fast on waves and superb at creating dynamic three dimensional moves in holes. 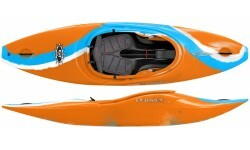 The Dagger MX range are excellent all round kayaks that are both forgiving and easy to paddle. Plenty of room for gear and comfortable. The MX is the original Mamba rebadged. We also offer a range of other brands from different manufacturers of Whitewater Kayaks & Playboats.